Win a box of Kokopelli’s Chocolate! 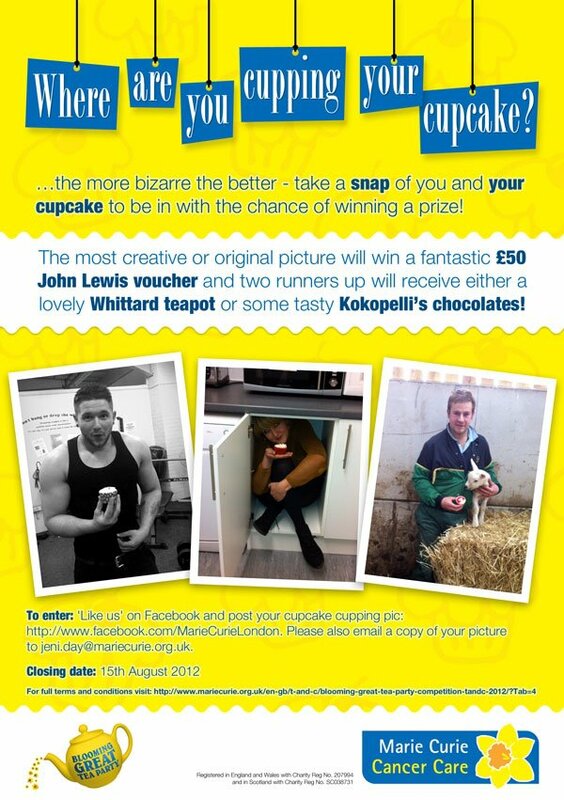 Kokopelli’s has donated a lovely box of chocolates to Marie Curie for their “Where are you cupping your cupcake?” competition. You have one month to enter and be in with a chance to win! You can find out more about the competition on their Facebook page, and you can find out more about Marie Curie’s amazing work here. The lucky winner was Carlos the Polar Bear! (I don’t know what this means either, but that was the name of the winner given to me by Marie Curie with his address.) His chocolates were posted out this week so hopefully they are being enjoyed right now!